Aging can be stressful for some of us. No matter how many dips in the fountain of youth, homemade coconut oil masks, or those green gross smoothies we drink, aging is inevitable. And it’s completely normal to want to do everything in your power to slow the process down. Not stop, Slow. So, you’re probably wondering… what next? 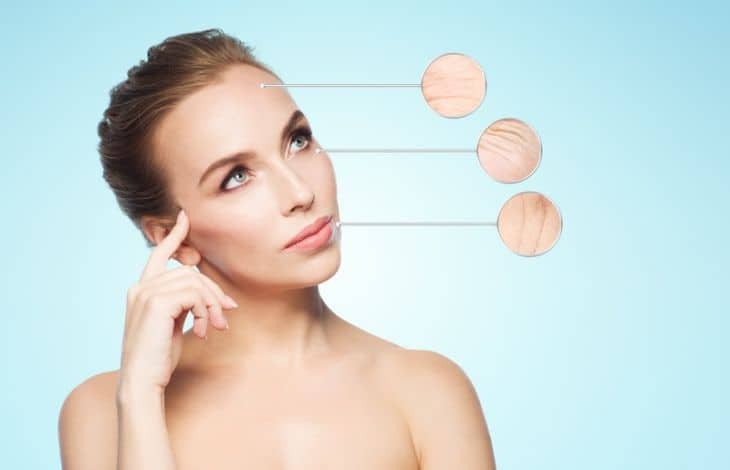 If you’re looking to slow down aging, tighten skin, and restore the natural luminosity of your skin, it may be time to consider getting yourself a skin tightening laser. What Skin Tightening Laser is Best for You? Laser skin tightening? That sounds scary, right? These tiny, safe devices have f﻿ractional lasers that penetrate the skin to restore production of collagen and elastin. No more expensive dermatologist treatments. Though they may have worked, we all know how expensive it can be. At home anti-aging lasers work in the same way that professional lasers do, although at a lower strength than typical dermatologist treatments. Does it hurt? Yes, unfortunately at home laser device treatments are somewhat painful for many users. To best describe the sensation, it’s like tiny rubber bands snapping your skin. Feel free to use a numbing cream or a topical anesthetic. Many users find that very helpful. Eventually you will get used to the treatments. Beauty isn’t always easy! While this may not completely solve all your​ aging issues, a skin tightening laser is sure to help you with your daily skin regimen. Here we share our top four favorite best skin tightening lasers. Enjoy! Looking for the best laser for skin tightening suited to your unique skin wants and needs may be a frustrating task. Fortunately for you, we’ve narrowed down your search to four of the best at home laser for skin tightening available today. The Tria Age Defying laser is a clinically proven, FDA-cleared, and features a fractional laser that treats multiple signs of aging on the entire face. Yes, you read that right! Entire. Face. The dermatologist recommended skin rejuvenating laser device stimulates the production of collagen and elastin to diminish multiple signs of aging for a more youthful and refreshed look. The skin feels warm, but the surface is left undisturbed. Use for just a couple minutes nightly and see results as soon as 2 weeks. Use in 3 steps, first start by cleansing your face of all sunscreen or makeup and dry your face. These kinds of products block the laser from penetrating the skin. The Tria priming cleanse﻿﻿r is recommended for best results. Secondly, choose your treatment level from 3 levels and glide the laser over your face. Then to cap off your skin regimen, nourish your face with a Tria ﻿﻿﻿finishing﻿﻿﻿ ﻿﻿serum. 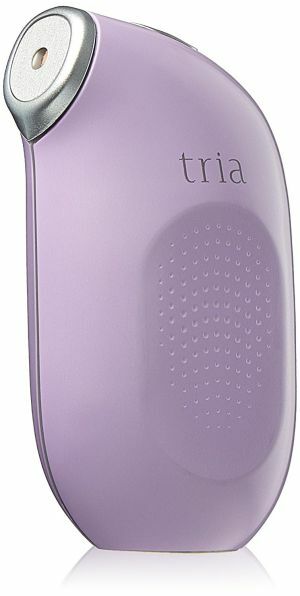 The Tria Beauty Age Defying Laser boasts a gorgeous cordless device with purple packaging. Included is a charging station and it’s only 7.7 inches tall, making this device so convenient anywhere and everywhere! Every purchase comes with a 60-day money back guarantee and access to live customer support. Learn how to use the Tria Smooth Beauty in below video. The Iluminage Skin smoothing laser is quite possibly the coolest looking laser gadget on the list. We could rave on all day about the packaging, but we will keep it short and sweet for you. It is the first FDA approved at home laser device for reducing fine lines and wrinkles around eyes and mouth and has been clinically tested with no side effects. With all white packing, the Iluminage laser is sleek and modern. It features a simple, ergonomic design with a one button operation. The hand piece itself, comes with an integrated base charging, led display, skin contact sensor, low battery indicator and audible information tones. The Iluminage skin smoothing laser delivers pulses of laser light below the surface of the skin, where wrinkles form. It’s designed to support increased production of collagen, fibroblasts, and elastin that deplete with age. Many users rave about the Iluminage laser’s ability to be used on the mouth and eye area, as some lasers available don’t recommend those areas. Simply wash and dry your face, choose your target areas, place the tip of the wand in contact with your skin. Watch and listen for the confirmation lights and tones. When they end, move the tip 1⁄4 of an inch to the next location and reposition. Post treatment apply a moisturizer to keep hydrated and to help minimize any discomfort you may feel. It is intended to be used every day with 2 days off per week. Another awesome feature is that you can see the count of laser pulses. When the count reaches 200 the device automatically locks out for 4 hours to cool down. You can expect to see firmer, younger-looking skin in as little as four weeks’ time. See it action below. The Tria Eye Wrinkle laser is a laser specifically for target areas around the eyes like wrinkles and fine lines. FDA approved and dermatologist recommended, this laser is perfect for the woman searching for a laser to take over those expensive dermatologist appointments. The Tria Eye Wrinkle laser is one of the best laser for skin tightening around the eyes. It has an automatic shutoff timer of one minute and can be turned on for further treatment if required. The cordless device is compact and comes with instructions for use, and a quick start guide. With the purchase comes a 60 day guarantee or your money back. Using the device for 8 weeks, at 2 minutes a night will transform your skin routine. 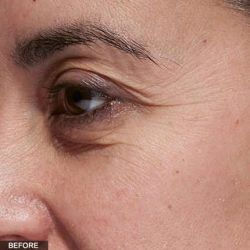 The Tria Eye Wrinkle Smooth Beauty is perfect for individuals who want shorter treatment times. This comprehensive at-home skin laser system includes state-of-the-art antioxidants and the Tria Beauty Age-Defying laser that we reviewed as the first recommended laser. The system can be used in conjunction with in-office professional laser treatments as at-home maintenance. After using the laser, use the antioxidant regimen. C E Ferulic and Resveratrol B E provide nourishment and free radicals to support skin’s natural repair. This antioxidant duo is proven to replenish post-laser skin and improve visible signs of aging. Use is simple. After cleansing, select your treatment level and glide the Tria laser across the treatment area with a smooth, even motion. Once the laser beeps your treatment is complete. After treatment use SkinCeuticals skincare antioxidant regimen. Use this device at nighttime, 5 days a week for 12 consecutive weeks. After 4 weeks, during this off period continue to apply the antioxidant regimen. This package is better than getting the Tria Age-Defying Laser alone, meaning you get more bang for your buck considering you get an antioxidant regimen too! Check out these before and after pictures from Tria to decide if the best at home laser for wrinkles can give you desired results! 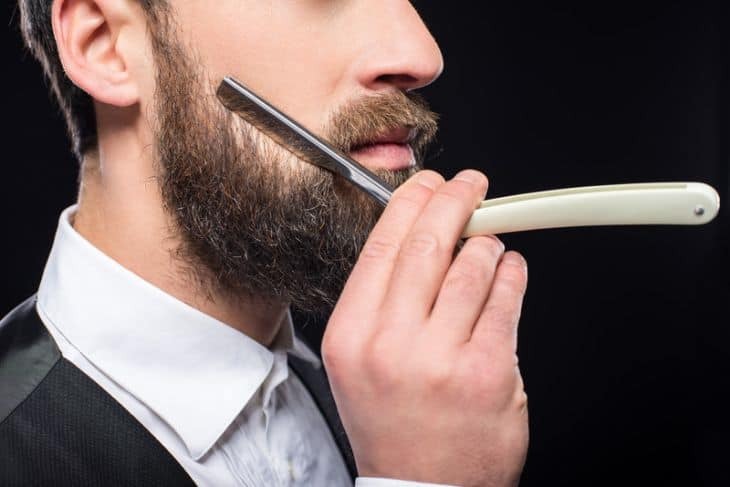 Laser Skin Tightening Cost- Though you may be saving money by cancelling those dermatologist appointments and investing in a skin laser, it can be hard to fork up $500 for a handheld device. Though relatively expensive, these devices can give near dermatologist results at home! Pain- Every skin laser will be uncomfortable to use at first. If you’re someone that’s sensitive to pain, buying an at home laser may not be ideal for you. Extras- As you are spending hundreds of dollars, it’s ideal to purchase a laser that includes some things like chargers, cases, serums, or even warranties! Skin Type- You should not purchase a laser if you have skin that is burned, cut, infected, or irritated. If you are being treated with antibiotics or if you’re pregnant. Each of the skin lasers above are great for those who want to cancel expensive dermatologist appointments all together. But, there is a clear winner when it comes to the best value and quality. The Tria Age Defying Laser-Smooth Beauty is the best skin tightening laser on our list of laser skin tightening reviews. It is FDA approved, comes with a 60 day money back guarantee and excellent customer support!